Cut peeled bananas in 1-inch-thick slices. Insert toothpick into each slice; place on cookie sheet. Freeze 30 minutes. In medium microwavable bowl, microwave chocolate chips and coconut oil on High 30 seconds. Stir well; microwave in 15-second increments, stirring well after each, until chocolate is completely melted. Remove bananas from freezer. Dip each in melted chocolate; return to paper-lined cookie sheet. Let stand until chocolate is firm. If not serving immediately, return bananas to freezer. 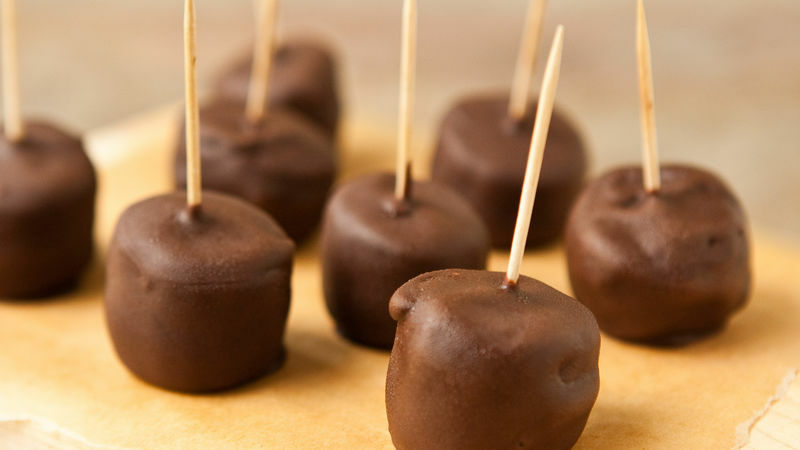 If needed, use more vegetable shortening or coconut oil to thin chocolate. Chocolate-covered bananas can be garnished with coconut flakes or candy sprinkles.